With Project Stream, Google managed to beat Amazon and Microsoft to the punch when it comes to the first public testing for a large scale cloud streaming service in the United States. 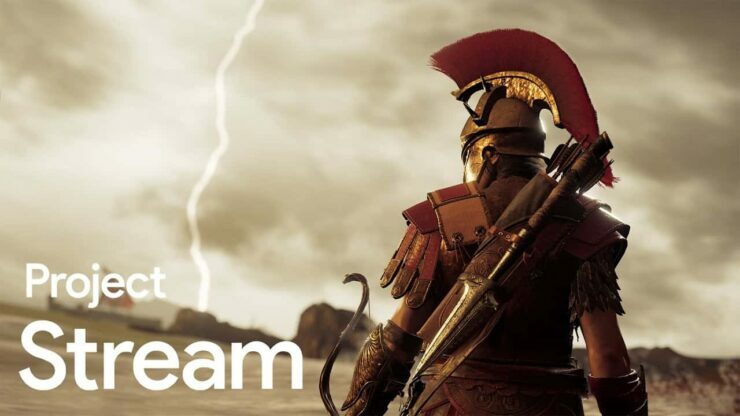 In September 2018, Google partnered with Ubisoft to allow testers to play the brand new Assassin’s Creed Odyssey game directly via the Chrome browser. During last week’s post-quarterly earnings conference call, CEO Sundar Pichai provided an update on Project Stream. He said the early feedback was super positive and we can expect more (presumably additional tests) throughout 2019. On Project Stream, being able to deliver gaming with the kind of real-time requirements, the low latency requirements, it’s definitely for us an important computing advance. We think it will help us drive the newer computing platforms we’re working on. And I do think services like that will be a point of inflection as 5G rolls out as well. So I think it is a virtuous cycle. So we are excited. The early feedback on our Project Stream experience has been super positive. And so we are looking to build up on that and you will see us do more there in 2019. Pichai then received an inquiry regarding the 30% fees imposed to developers on platforms like Steam, App Store and Google Play, which are currently being challenged by big developers like Epic Games. He seemed adamant that Google will continue with the same fee, though he left the door open to adapting to the market. On Google Play, obviously, we do this at scale. Thousands of developers rely on it to safely and seamlessly distribute their game to billions of Android users worldwide. And we invest a lot in our infrastructure to continuously make sure their overall experience is safe and results in high engagement and for the developer’s back. So I think there’s a value exchange there and it’s been the industry standard. And so, I think we will continue down that path but obviously always adapt to where the market is. Epic’s Tim Sweeney did say the Epic Games Store could land on Android at some point in the future. If it ever does, it will be interesting to see how Google reacts.